Cosy cottage with wood burning stove. 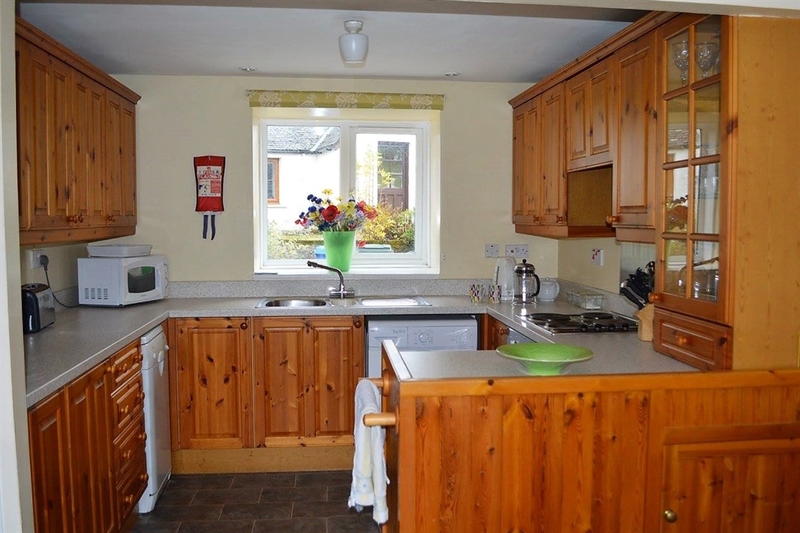 Nestled between the picturesque village of Tayvallich and Carsaig Bay overlooking the Sound of Jura. 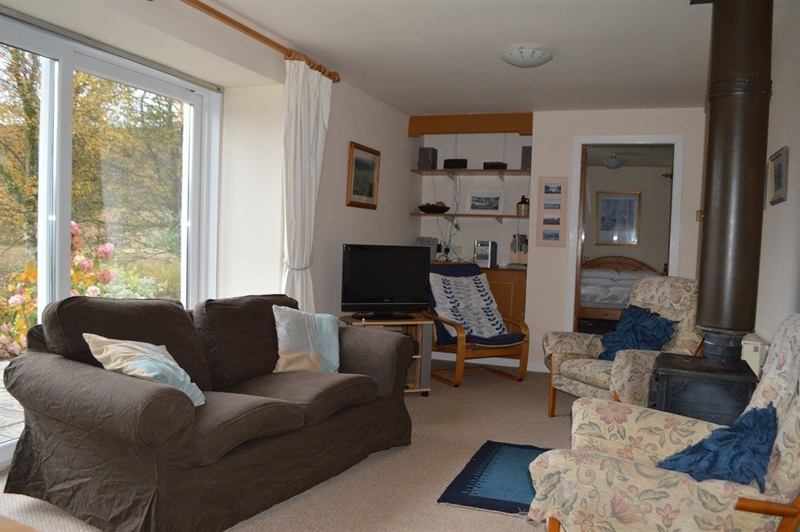 Sleeps 6, family and dog friendly. Haven for water sports, wildlife and outdoor activities. The fully furnished cottage enjoys a magnificent vista to the West with breath-taking sunsets and moonscapes (weather permitting!). Sliding doors from the living room open up to the patio - with outdoor bench seats, table and deck-chairs - overlooking its own ‘Babbling Brook', or stream, immediately below the cottage. 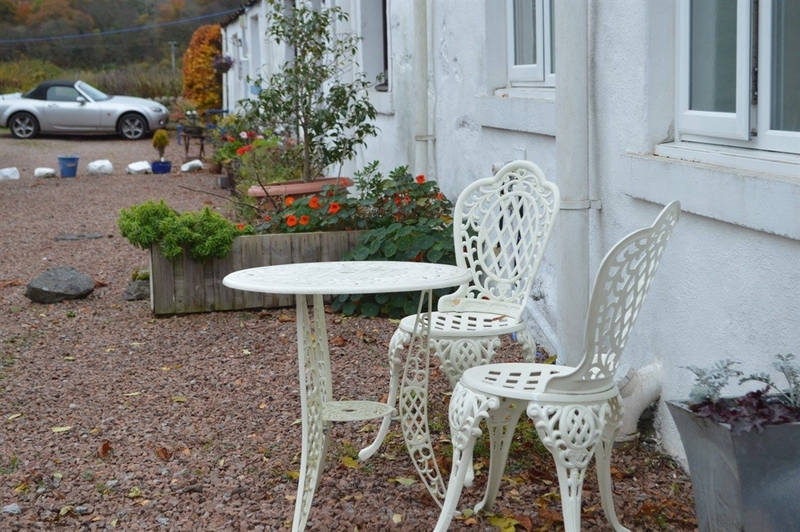 Private parking for up to two cars is adjacent to the cottage. Upstairs, there are two twin bedrooms with skylights. 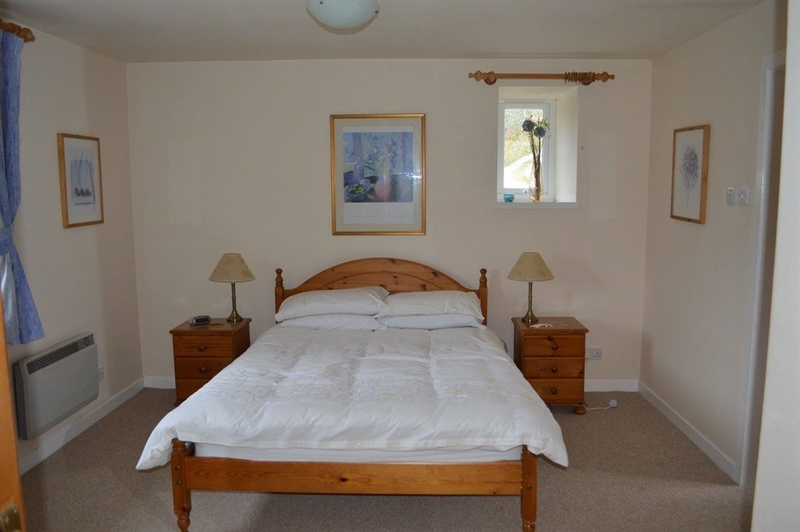 The master bedroom, complete with en-suite, is located downstairs. There is a second bathroom downstairs off the entrance hallway. The living space is open plan, with kitchen and living room leading out onto the patio outside. The Steadings is situated midway between Tayvallich and Carsaig bays. 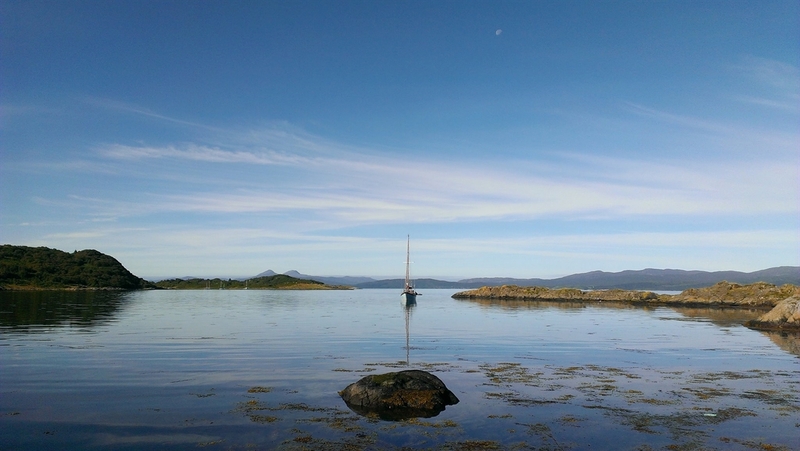 Tayvallich is a haven for yachting and features all water-sports. 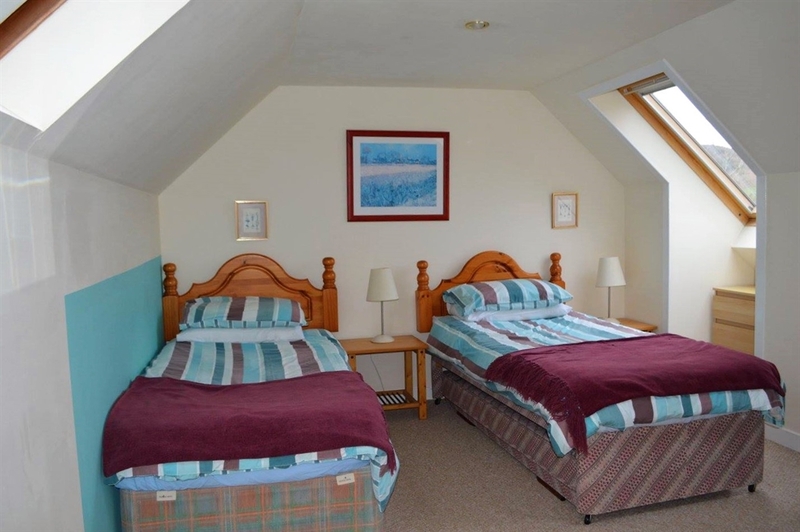 The village enjoys a renowned and friendly seafood restaurant (also excellent bar-meals) and is an ideal location for walking and cycling holidays being close to numerous forest walks and wildlife preserves. The Village Shop (with coffee shop) is very well stocked and will be pleased to accept special orders for our guests. The village also has a high quality outdoor Sports Court (complete with floodlighting) in a fantastic setting for tennis, five a side football, basketball and more. The area is an integral part of the ancient history of Scotland from the incursions of the Vikings only a thousand years ago to older times with many examples of Pictish standing stones close by in Kilmartin Glen. Tayvallich is some 6 miles from the Crinan Canal which joins the Clyde Estuary to the West Coast of Scotland. 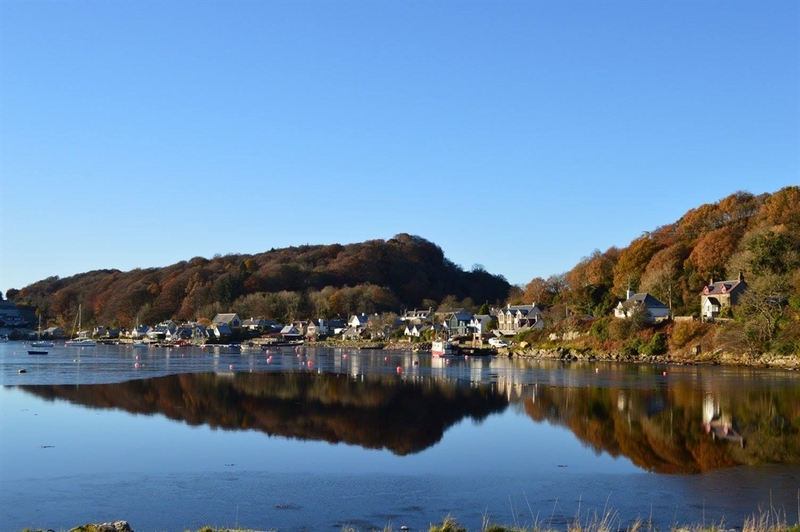 Crinan is only 20 minutes drive from Tayvallich and also enjoys a first-class hotel and restaurant overlooking the sea-lock of the Canal to the wild beauty of the Inner Hebrides. 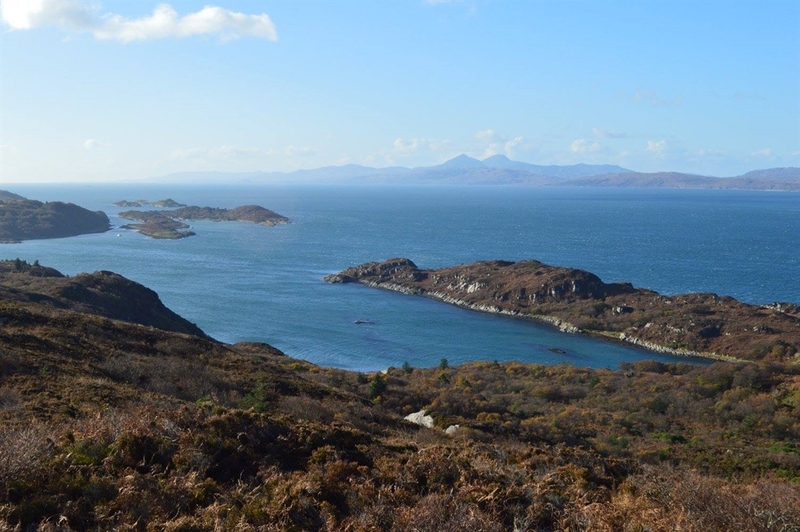 From Easter through end September a passenger ferry service (no vehicles) is available from Tayvallich to Craighouse on The Isle of Jura landing just by The Isle of Jura Malt Whisky Distillery and the Jura Hotel with fine 'pub grub' in another breath-taking setting. The nearest town is Lochgilphead some 12 miles away (supermarkets, fishing permits, golf, swimming pool and numerous shops and pubs) and Oban, the Capital of the West, is about one hours drive and features the Oban Malt Whisky Distillery (open to the public), swimming pool, cinema, and many other attractions. Prices vary by season from £399 to £595 per week. Short stays available in off-peak season (contact us for short stay availability in high season). 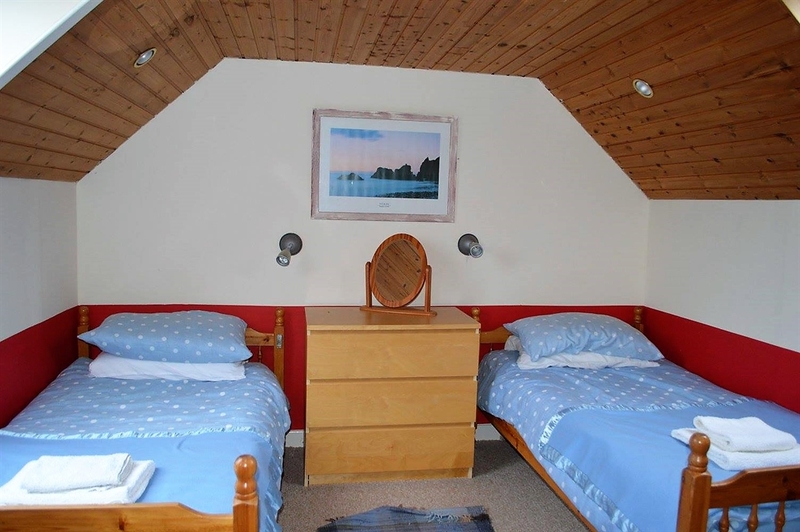 10% discount on two week stays.